One way to exclude boredom from your website is to utilize the whole power of artistry, incorporating amazing cartoonish illustrations. 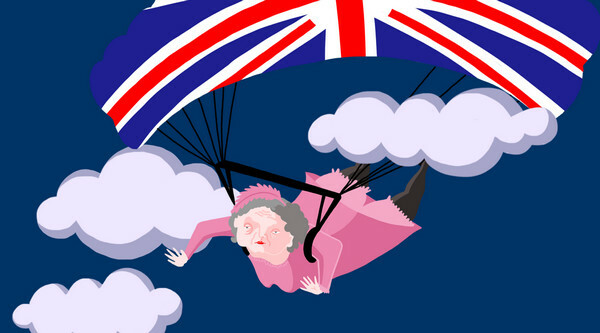 Use of hilarious mascots, imaginary scenes, breathtaking fictional landscapes and cooked-up characters spice up any website design, making it not only unique and racy, but also eye-catching and entertaining. Digital doodles are able to focus users’ attention on central points of a site, force customers to stay and examine milieu in detail. Moreover being perfectly executed, website design loudly speaks for itself, promoting skills and abilities of an owner. 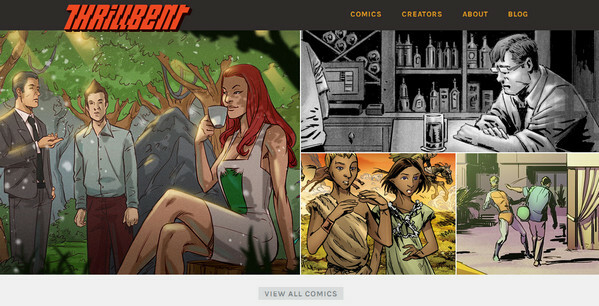 Today we have put together 28 brilliant fresh examples of cartoon style website designs that definitely gain some extra attention by ably incorporating vivacity and intricate illustrations. 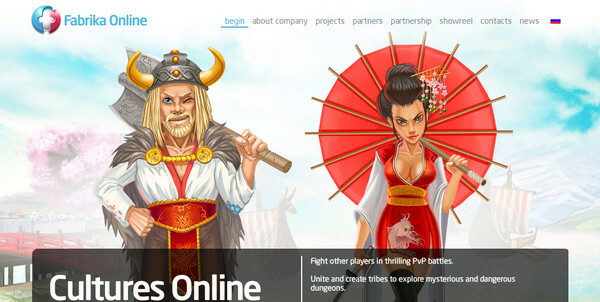 Fabrika Online showcases marvelous scenes from the game by means of slider section. 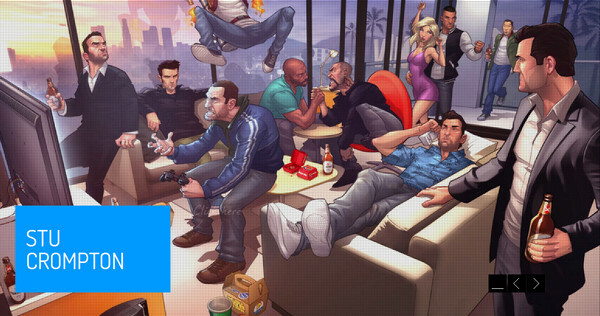 Both characters and backgrounds look vibrant and unique. Web Design Wigan has cheerful and entertainment vibe, colorfully portraying shindig. Vibrant colors, various personages and overlay of black dotted grid add to website glamorous allure. Thrillbent pulls its identity from comic style, graphically demonstrating and neatly placing into grid excerpts from different comic books. Pupa utilizes regular parallax effect to bring short story alive. Truly artistic illustrations, which alternately succeed each other, have a lively atmosphere and sophisticated execution. 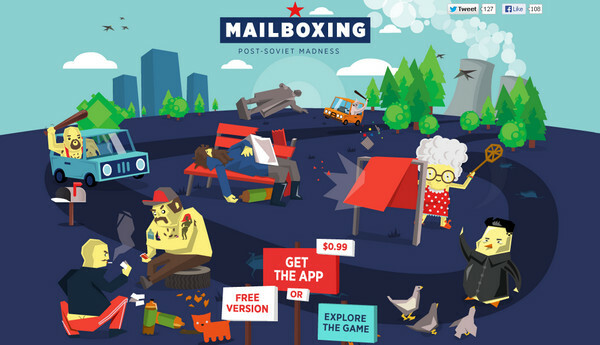 Mailboxing features low-poly graphics that add to website roughness, and, at the same time, queerness. 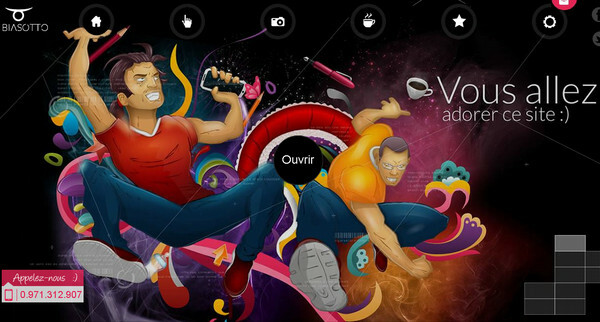 Based upon geometric forms and flat style, illustration gets idiomatical appearance. Di Biasotto nimbly combines together characters and colorful abstract splashes that easily break the monotony of dark plain background. 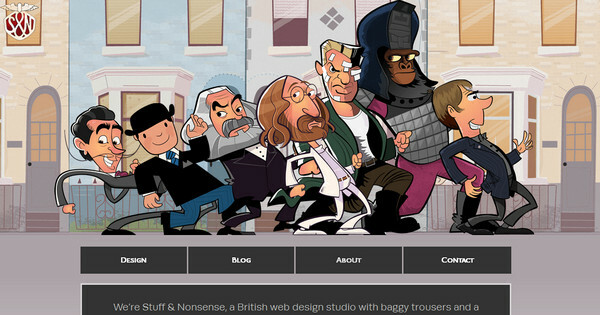 Stuff and Nonsense establishes hilarious and slightly urban atmosphere by means of cartoon-style illustrated header with cheerful personages. Netiko has habitual light grey paper-based design. 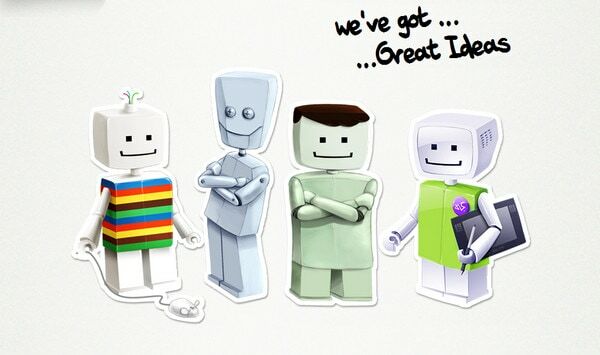 Of course, it is not new, but what is truly refreshing and appealing is the integration of funny and kind robots throughout the whole design that have a look of old-school stickers. 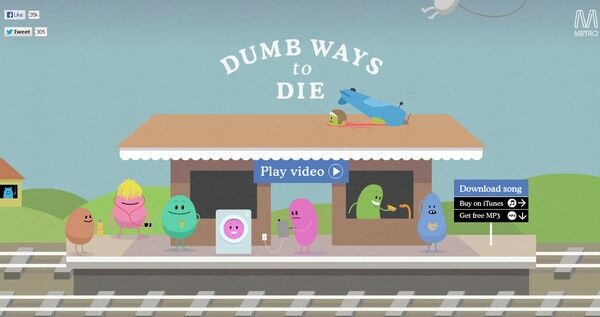 Dumb ways to die is a website dedicated to big problems of negligence in Metro. 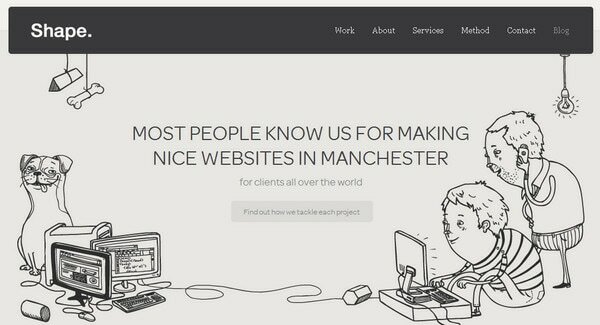 Website fascinates not only by its pleasing unique characters, but also by well-executed idea that is supported by specially devised song. Rainbow Nursery features bright childish illustration that conveys a warm and pleasant experience. NASA: Prospect wonderfully utilizes the power of polygonal art in conjunction with vibrant color palette, representing astronaut as a protagonist of compelling story. 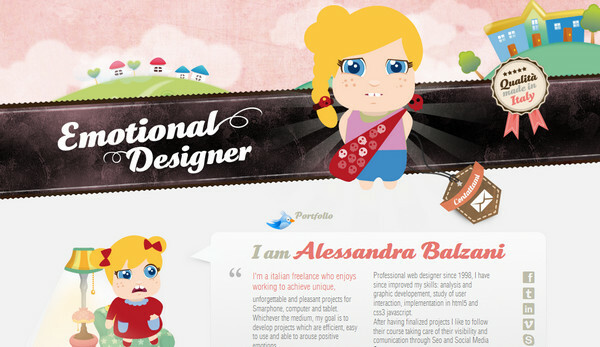 Pictoaplicaciones introduces agency members by means of merry cartoonish children that welcome users on a main page. 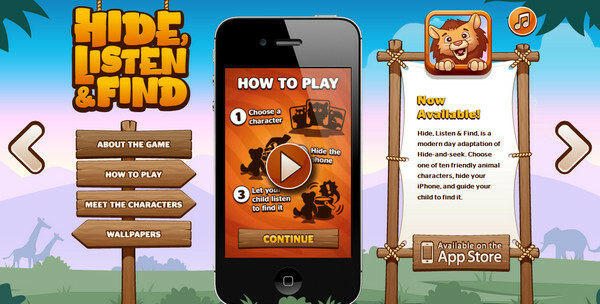 Bully in a Box has a fully illustrated home page with whimsical graphics, where you can find 3 main characters. 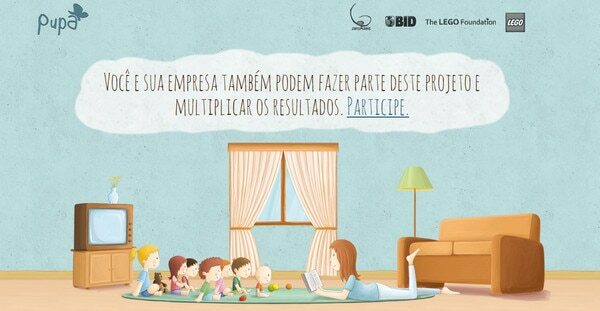 The website is aimed to help children to come up with right solutions in difficult school situations. 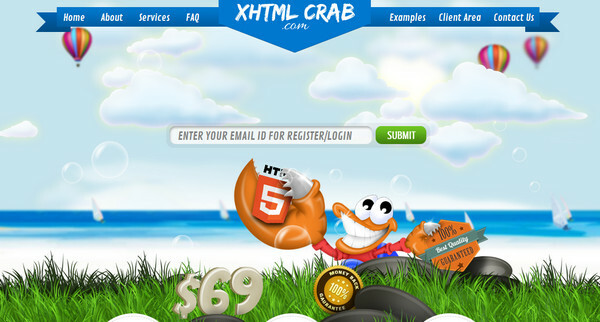 XHTML Crab – draws onlookers’ attention to a glaring crab illustration in a centre, which severely resembles a character from Walt Disney’s cartoon. 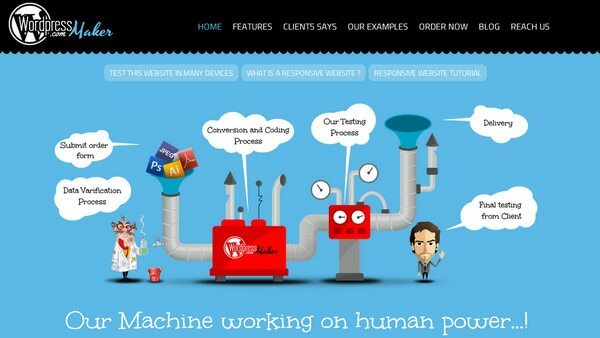 Made for Humans – is personified by action cartoon illustration, featuring bluish scenery with cast-off robots. 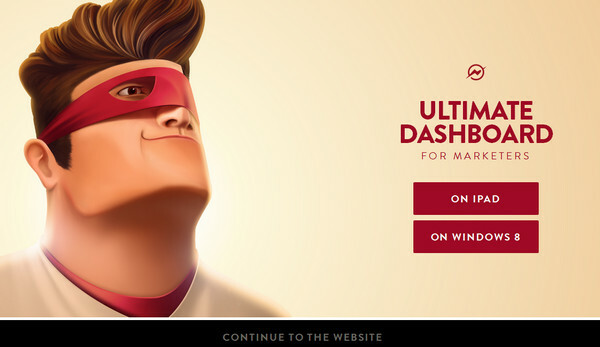 Captain Dash – skillfully leverages superhero concept, demonstrating a big face of digitally drawing character that has a proud and skillful outward. 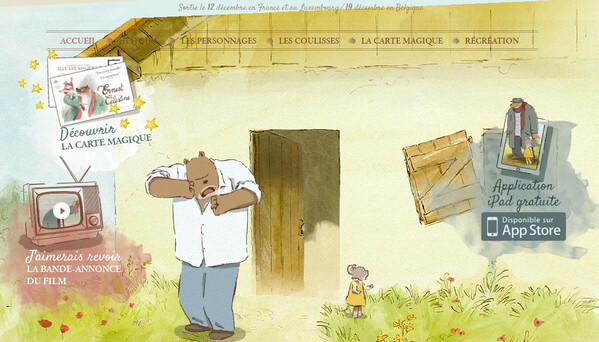 Ernest et Celestine – is pulled by rustic rather muted watercolor illustration from a cartoon. Designer beautifully mixes together scenery and navigation system. 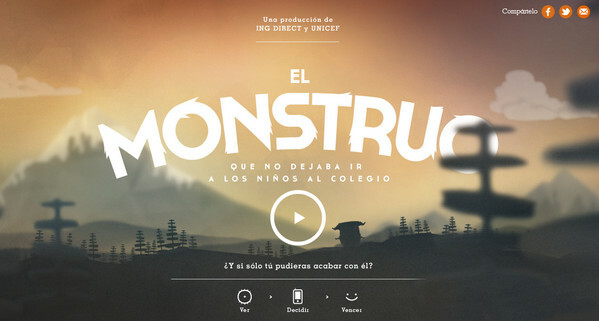 El Monstruo – Bizarre landscape-themed illustration takes up the whole space on a main page. It is made in warm colors with a slight dimming and blurring in order to make exceptional type with furry touch and icons on a foreground to excel. 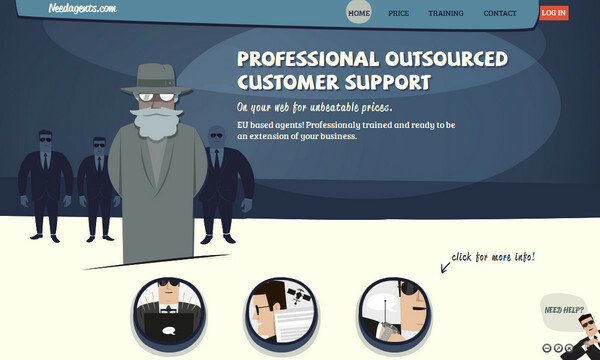 Needagents – ably and colorfully illustrates company name, recreating serious atmosphere by means of deep and solemn agent characters and dark blue color palette that is primordially associated with business stuff. 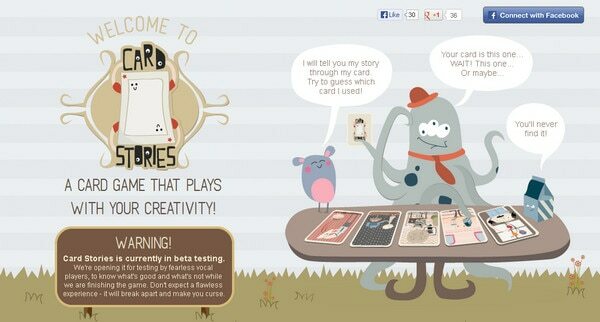 Card Stories – is rich with details. Blue striped sky, funny mascot, hilarious logo, exceptional typography with peepers and muted color palette bring a note of gaiety and jocosity. Hide, Find and Listen – looks bright and sophisticated. Highly-detailed landscape, kind characters, glossy graphics, fake wooden textures and old-school gradient fully recreate ambience of an advertised game. WordPress Maker – graphically portrays working process on the main page, making cooperation between agency and customers more transparent and understandable. Fountain of Youth Coconut Water – does a good job of utilizing only 3 major colors: red, green and blue that adeptly interact with negative space. Shape – features monochromatic linear-based illustration in a header that looks clean and accurate. Andreia Carqueija – The geometric-patterned grey background is broken up by dark regular vector graphics and bold typography. 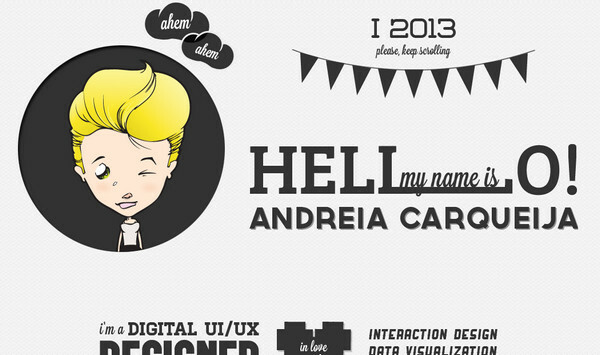 Cartoonish illustration of a designer is a bright spot that momentarily draws users’ attention. Well Done Team GB congratulates its Olympians in a quaint manner, colorfully and dynamically illustrating various victories. LoFavor incorporates 3-dimensional characters and convex polygonal art to recreate up-to-date digital scenery. Alessandra Balzani brings a note of childish innocence, depicting funny girlish doodle that also plays a role of a mascot. Cartoon style does not necessarily guided by children’s theme or occurs on websites dedicated to kids. A great deal of serious companies and creative agencies utilize such unconventional approach in order to simply grab users’ attention by demonstrating talent and lateral thinking. Withal such websites look originative, constructive, and much important they are inherent honesty and reliance from doodles that appeal to a child inside of you. 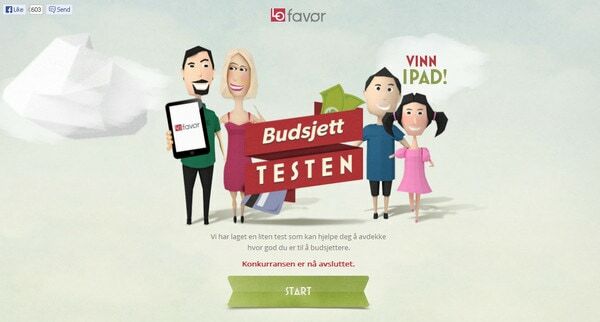 So, tell us how do you find utilization of cartoonish illustrations in website designs? What types of emotions do they evoke? Do they capable of win you over? I love the Mailboxing site. Thanks Nataly for this fantastic collection. Great !! Cartoon style collection looks playful and fun !! 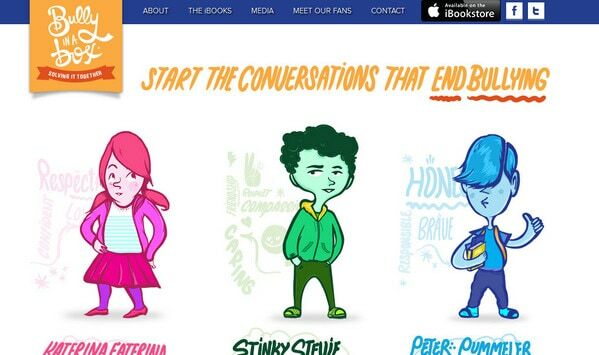 Cool characters used in websites ! !